I hear you, Idzie! Thank you for so beautifully articulating what sits on the minds and hearts of so many of us who choose curiosity-led learning. This notion of simply exploring our environments and connecting with what feels good has been deliberately complicated for the sake of "structure" and "civilization." It's refreshing to be in spaces where folks are okay with questioning things, and this seems like one of those spaces. My daughters (10 and 8) are unschoolers, and their dad and I are so grateful to have come across a way of life that honors our daughters as they are, and not as whatever society or even we as their parents, think they should be. They are so much happier now, and we intend to continue to chip away at all of the ways they've been confined and convinced about who or what they should be. 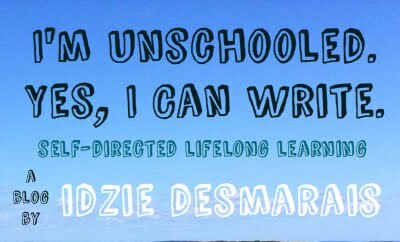 Deschooling is an ongoing practice, and an eye-opening process; we're knee-deep in exploration and loving it. Thanks for your voice in this space.